Sewing class for Young Adults! Sew / Create / Re-Purpose is a fun class designed for young adults to learn some basic sewing skills and to complete a simple and unique sewing project during each individual class. 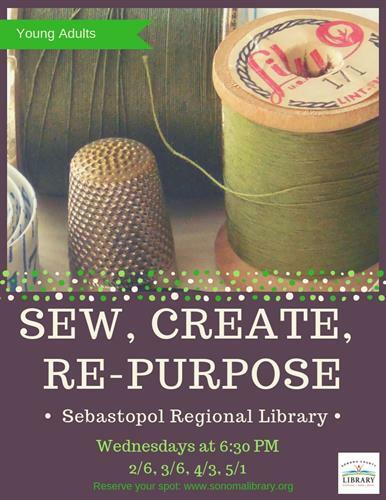 Sewing machines, materials, and snacks provided. Space is limited, sign up to save your spot!